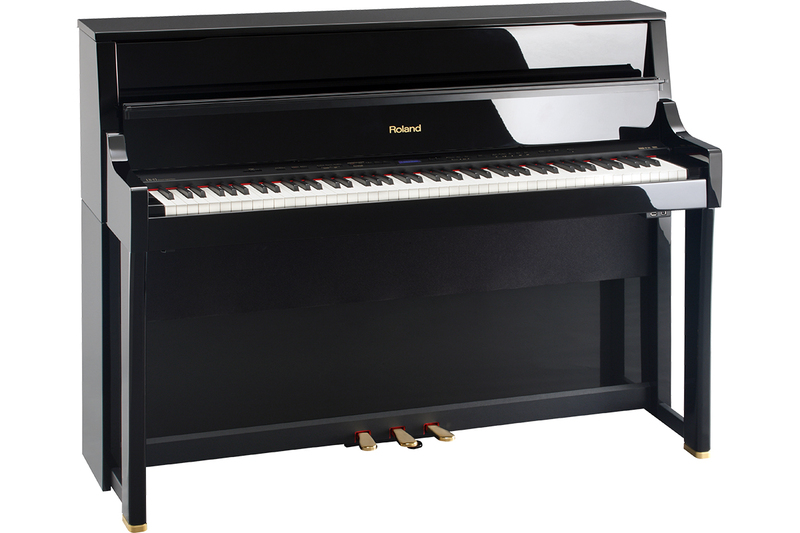 The elegant, upright-styled LX-15 combines Roland’s latest technologies for a complete, organic piano experience. Equipped with a SuperNATURAL® Piano engine with Soundboard Behavior, an innovative multi-dimensional Acoustic Projection sound system, a premium PHA III Ivory Feel keyboard, and Progressive Damper-Action Pedal, the LX-15 is an ideal instrument for serious piano enthusiasts, as well as beginners at home. Experience perfect piano sound, touch, and response delivered through an amazing sound system — and all from within a graceful cabinet.